The following are some hidden benefits you may not already know about solar energy and its potential impact on your life. When you invest in solar panels for your home or business, these credits are issued by the government as an incentivizing effort for you to reap this merit and the costs of installation. If you live in New York, you’re missing out a very generous state tax credit worth 25% of the system’s cost. To better gauge this, that’s approximately $5,000. Unfortunately, 2019 is the last year New Yorkers can redeem 30% of this amazing tax credit incentive. Due to the imposition of current trade tariffs surrounding solar energy, the tax break depreciates each year by 5%, so by 2020, it will hover around 20%. If you are still on the fence about jumping in the solar energy bandwagon, you may stockpile on more savings if you do it now rather than later. With the right company, the permitting process usually doesn’t take more than 3-4 months, so you can still take advantage of this opportunity and make this a new year resolution you can be proud of! 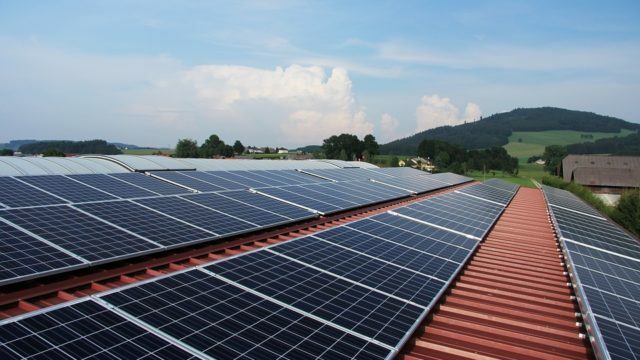 Solar energy is most advantageous and cost-efficient when you live in a region with high energy rates with an appropriate solar rating, the aforementioned 25-30% tax break makes it worthwhile to install the panels. There are many claims that the panels will save you from heart-wrenching bills—and that much is true—this is not an overnight remedy. First, review your electric bill. If you consume energy greatly, the numbers will reflect, and it means you are more likely to benefit from switching to solar panels. Keep in mind that electricity rates and usage are volatile numbers; the rates are largely dependent on your location. The price of installation prior to the tax break ranges anywhere between $11,000-$35,000 depending on the size of the installation. The solar panels will start paying for itself within a few years to a decade before it actually starts to cover the initial cost, but the lifespan of solar panels will counteract the expenses and pay you back over time. Looking to sell your home? Solar panels are nice aesthetic and monetary assets to your home and can eventually make it worth more in the real estate market. The standard 5-kilowatt system can add as much as $20,000 to your home, according to a nationwide study by the US Department of Energy’s Lawrence Berkeley National Laboratory, resale values increase an average of $4 for each additional solar watt installed. Some studies on homes in California show that homes with solar panels are claimed faster than ones that consume more energy. However, if you are still under a solar lease, the prospective buyer would have to agree to assume the future payments. While you are weighing in the downsides and upsides to solar energy, here’s another point to add to your growing list of pros: solar panels require little maintenance for the entirety of its lifespan. Solar panels do not contain any moving parts, nor orifices that permits any entry of debris that can make it malfunction. It cleans itself since most designs are tilted at an angle, so a lot of the dust will leave the smooth surfaces as runoff on its own. In the case where you invest in a solar roof where the plane is horizontal and there is a problem with debris, you’d contact your solar provider for servicing to remove it, as too much dust or debris can hinder the performance of solar panels. However, these instances do not occur frequently. For areas that experiences moderate shifts in seasons such as New York, you would think that the snow would be a problem, but it’s not. It’s actually the first area that will cleanse itself of snow build-up and the tilted angle will help slide any excess off. Of course, the solar panels generate high levels of heat as it is generating electricity, so this will quickly melt the snow before it has the chance to settle.